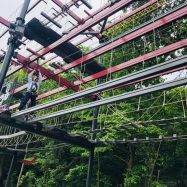 The Sky Trail Voyager high ropes course is for those looking for a linear multiple level course that has a high capacity and quick turnaround. 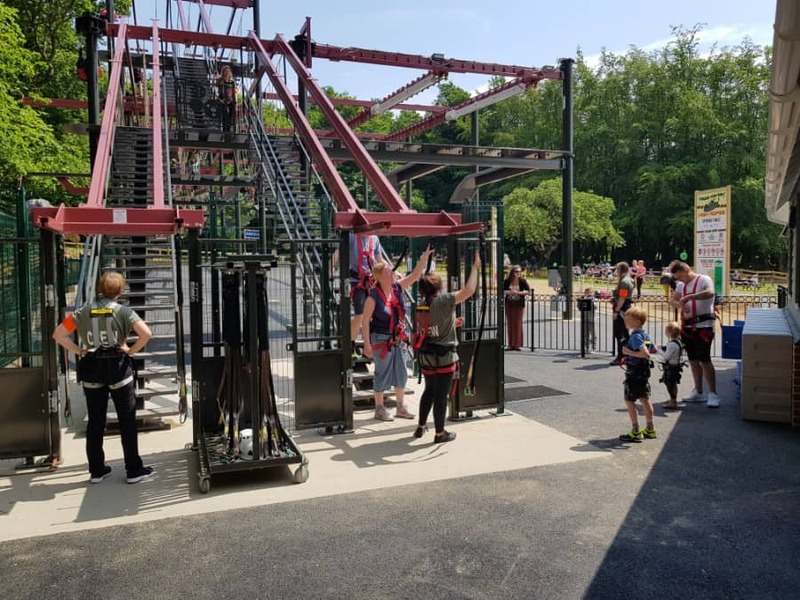 The Sky Trail Voyager courses are based on a square pole system and is aimed at the more adventurous target market wanting to explore a little further out of their customer’s comfort zone. 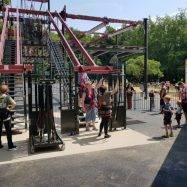 The modular construction of Sky Trail Voyager ropes courses allows construction in sizes ranging from two to four or more linear paths. This could be in either single or up to triple level formats and would incorporate a diverse range of challenging elements installed between each pole. The Voyager course can give a different customer journey experience each time as the participant can switch track at each platform junction. Either to overtake or avoid an activity that is too challenging. The big advantage of a Voyager design is hourly capacity. 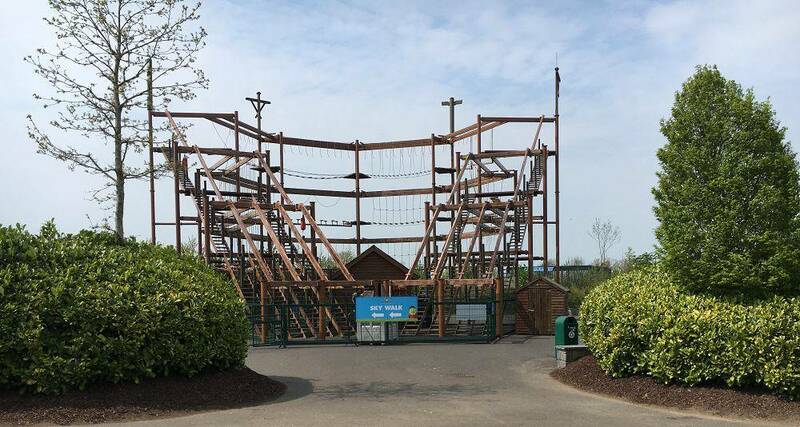 Recent installations at Tayto Park, Ireland and Roarr! 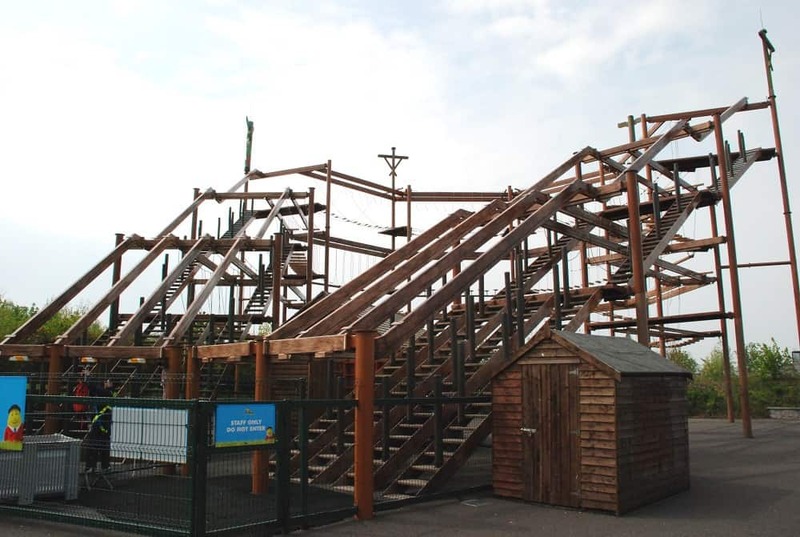 Dinosaur Adventure, Norwich, have been designed to accommodate around 200 people per hour on busy days. This makes a big difference if you plan to include SkyTrail in the park/venues admission price (like they both do). Sky Tykes courses are scaled down versions of the main course just a metre off the ground and are aimed at 2-7 year-olds. Combining the Sky Trail Voyager ropes course with Sky Tykes allows the whole family to share a ropes course experience together. 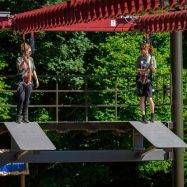 The Sky Rail rigid zip line can be installed as a feature on our Sky Trail high ropes courses to enhance the experience. A recent example of a Voyager Sky Trail with Sky Rail can be seen at Roarr! 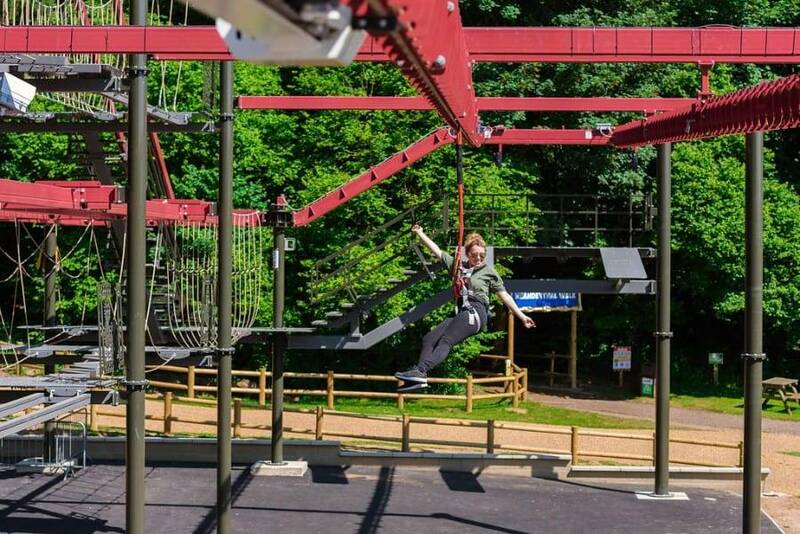 Dinosaur Adventure which features the ‘world’s first’ twin parallel Sky Rail zip lines. 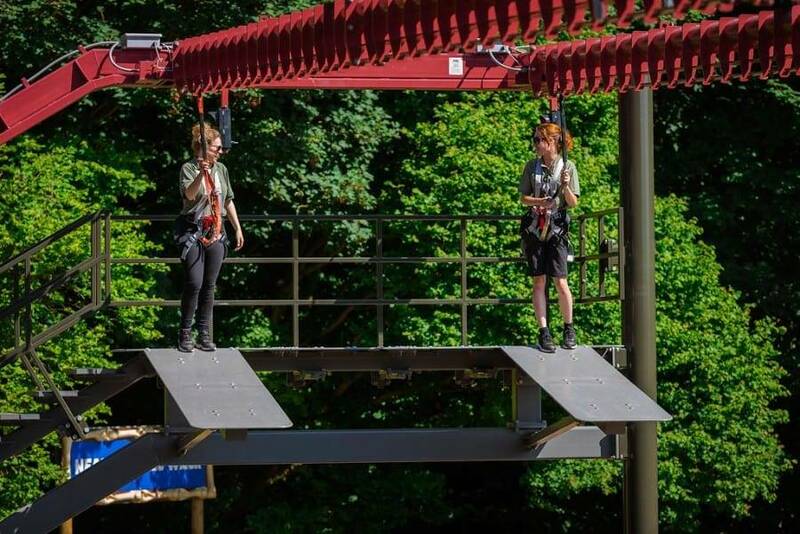 Innovative Leisure works with you every step of the way from the initial point of contact through to the opening of your ropes course and beyond. 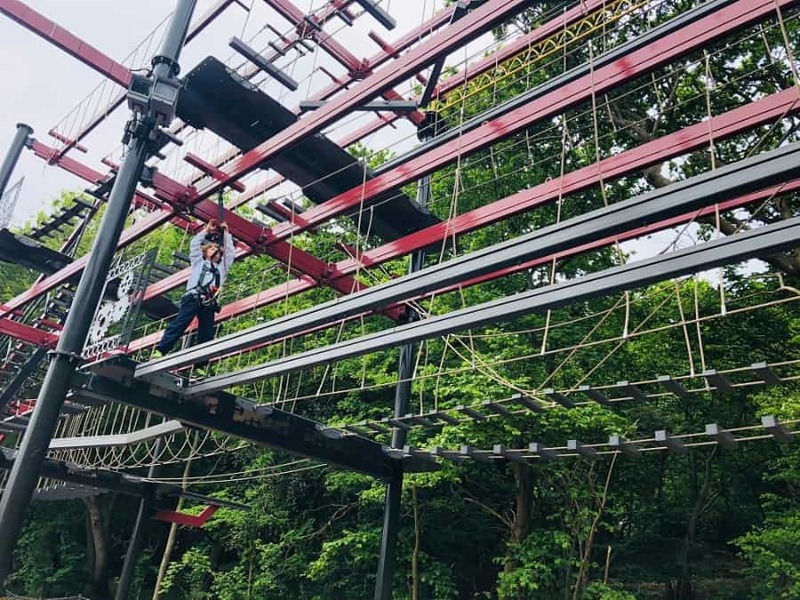 We are happy to visit your potential site to assess the best way of designing a ropes course to meet your specific requirements. The next step is to produce design drawings to give you a visual of your chosen design, colour scheme and theming options. We also assist you with the specification and design of the concrete foundations where required. 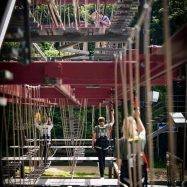 We have a highly trained and experienced high ropes installation team. 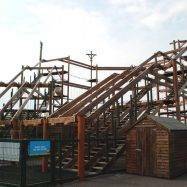 Installation times vary depending on the course size but smaller Sky Trail courses can be built in less than five days keeping disruption on site to a minimum. 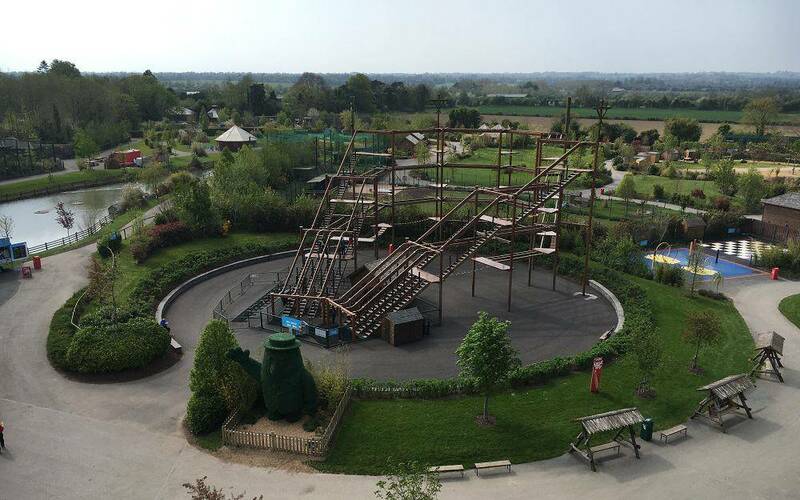 With installation completed, the Sky Trail course will be subjected to a safety inspection (within the UK) with documentation and design review supplied. 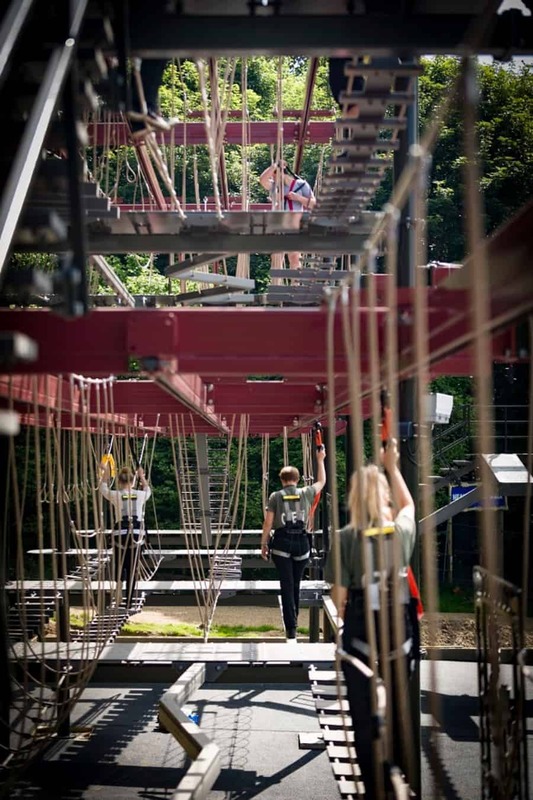 The final step is training your staff which is included as standard with every Sky Trail ropes course installation. 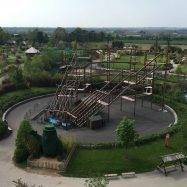 All harnesses, safety lines and emergency take-down kit are also supplied with your Sky Trail High Ropes Course. 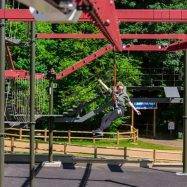 If you don’t think the Sky Trail Voyager course is the right high ropes for you then take a look at our other Sky Trail options. 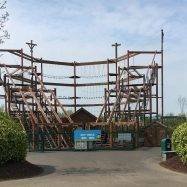 Predator High Ropes was a 24-month project, built within 6 months, and was launched to our visitors on May 26th. This was made possible with thanks to a dedicated team of 75+ people, including 10 contractors, our in-house team at Roarr! Dinosaur Adventure and Innovative Leisure. This was a substantial investment for us which amounted to £1 million in total for the project. The finished product looks outstanding and is something I am very proud to have worked closely on with Phil at Innovative Leisure who has a great team who supported us professionally from training through to after-sales service.